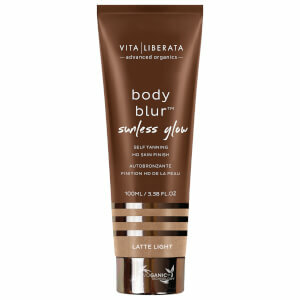 Achieve a natural-looking, sun-kissed glow with the Fabulous Self Tanning Tinted Lotion from Vita Liberata. Ideal for dry, mature and sensitive skin types, its lightweight formula glides effortlessly onto the body for a sheer, streak-free finish, whilst delivering instant colour to guide application. Containing Odour Remove™ technology to eliminate the unpleasant fake tan smell, the fast-drying lotion is infused with certified organic botanicals and Moisture Lock™ for a tan that fades slowly and evenly. A dose of East African Marula Oil provides anti-ageing benefits and long-lasting hydration so you can experience deeply conditioned, radiant skin that develops over 4-8 hours. Aloe Barbadensis (Aloe Vera) Leaf Water*, Dihydroxyacetone***, Glycerin*, Cetearyl Alcohol, Cetyl Alcohol, Glyceryl Stearate, Panthenol**, Disodium EDTA, Butyrospermum Parkii (Shea) Butter (Beurre)**, Saccharide Isomerate***, Tocopheryl Acetate**, Cucumis Melo (Melon) Fruit Extract**, Benzyl Alcohol***, Salicylic Acid***, Sorbic Acid***, Hyaluronic Acid, Vitis Vinifera (Grape) Seed Extract**, Ginkgo Biloba Leaf Extract*, Fucus Vesicolosus (Bladderwrack) Extract**, Litchi Chinensis (Lychee) Fruit Extract**, Sclerocarya birrea (Marula) Oil, Rubus Idaeus (Raspberry) Seed Extract*, Hydrolysed Silk (Soie), Glycyrrhiza Glabra (Licorice) Extract*, Cananga Odorata Flower Oil**, CI 42090 (Blue 1), CI 17200 (Red 33), CI 19140 (Yellow 5). I got this in the LF beauty box. 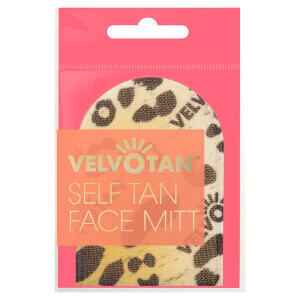 Its the first fake tan that does not smell, no fake tan smell, no perfume smell, absolutely nothing what so ever. Its was so easy to apply and i woke next day to a lovely streak free colour which was really natural. I will for sure be buying this one again. At last a tan that doesn't smell of biscuits. Very easy to apply, dried instantly so no stickiness and didn't dry my skin out like other do. Very natural, loved it.